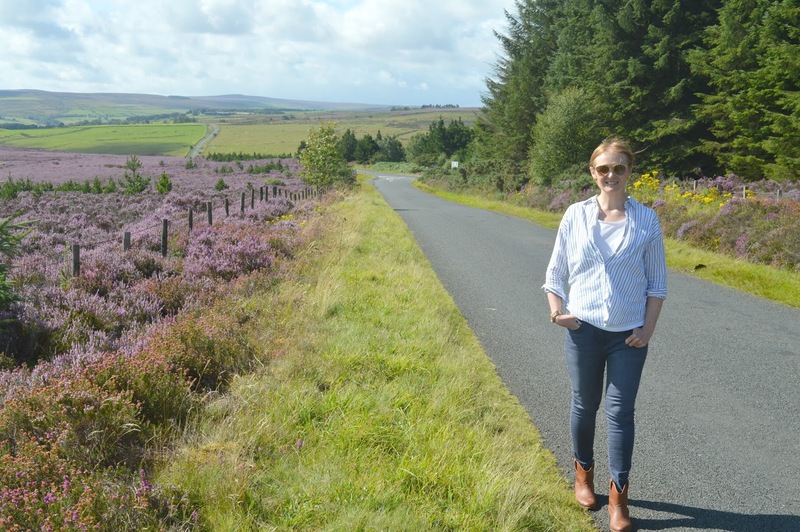 With so many beautiful places in the North East to explore, enjoying a weekend staycation a few miles from home is an ideal way to make the most out of a weekend. During a recent day trip to High Force Waterfall we found ourselves driving through the North Pennines, an area of the North East I knew very little about. 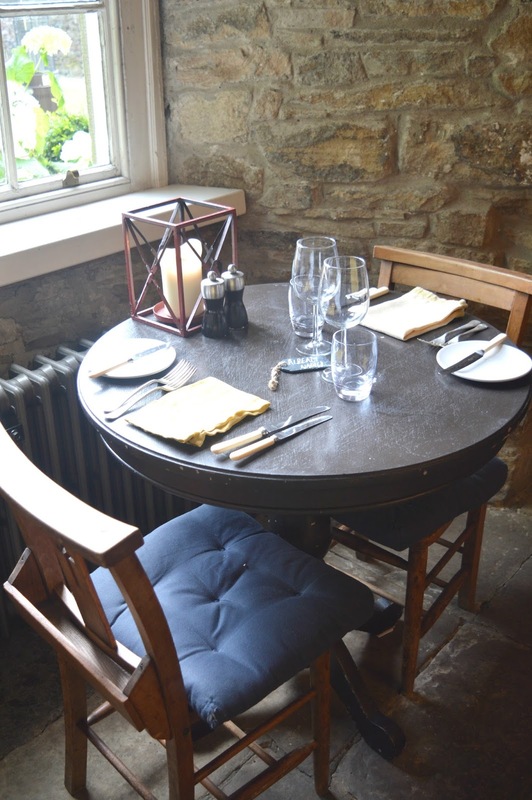 I was overwhelmed by its beauty and needed to see more so a luxury escape to the Lord Crewe Arms in Blanchland seemed like the perfect weekend plan! 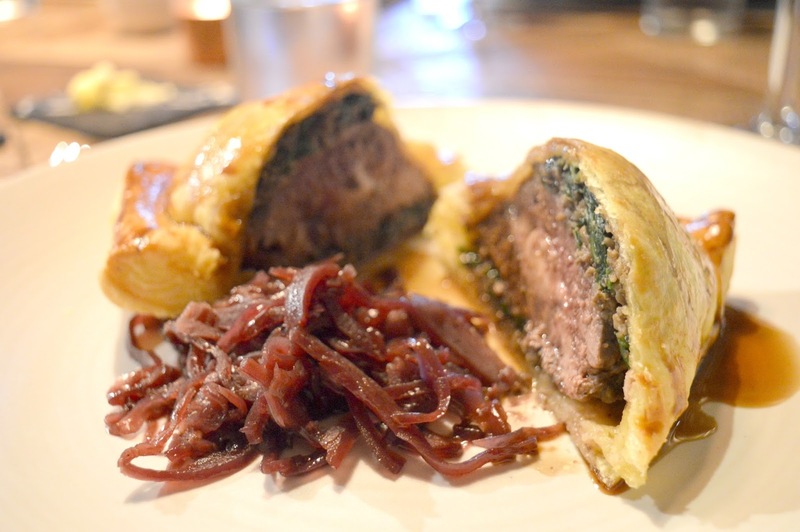 It's hard to put into words how special The Lord Crewe Arms is. 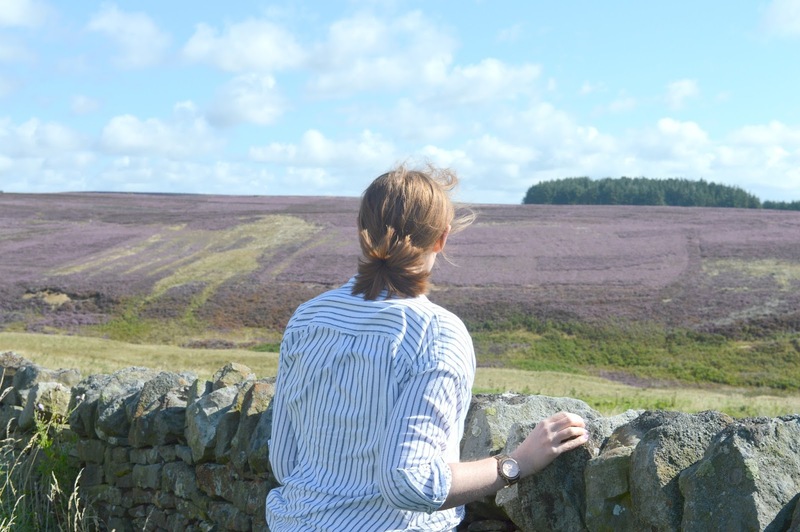 A country escape, a moorland hideaway and the kind of place where you feel so at home that you never want to leave. I could sit here all day struggling to find the perfect words, I could just never do it justice! We arrived on a blustery evening and were welcomed from the unseasonably cold weather into a snuggly reception area complete with lit fire and warm smiles. Greeted like we were old friends, I've never received a welcome quite like the one we had at the Lord Crewe Arms. We instantly felt comfortable, like we were visiting family, and we had this same feeling throughout the duration of our stay. 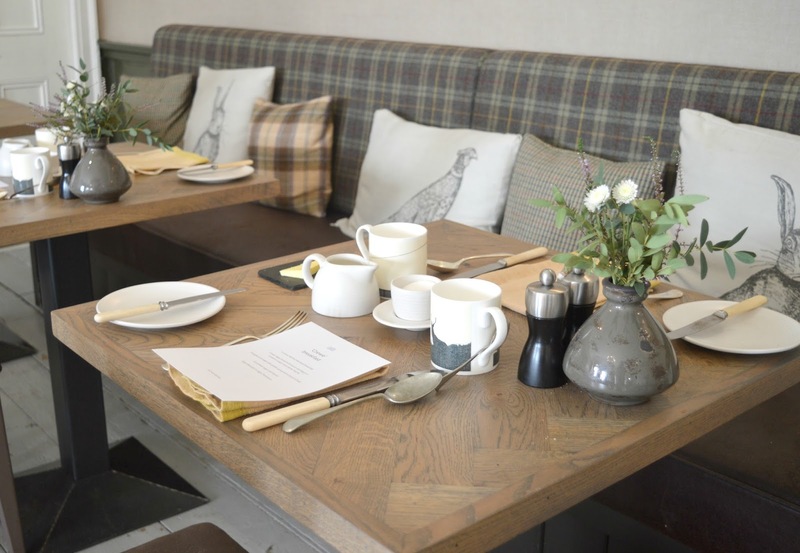 I'm not sure how they've done it, but the Lord Crewe Arms have got that perfect balance of luxury and friendly charm that's so hard to find! The place feels truly special and ideal for a romantic weekend away or anniversary yet isn't at all pretentious and stuffy. It's the kind of place with perfect service yet you still feel like you could stroll about in your slippers if you really wanted to. 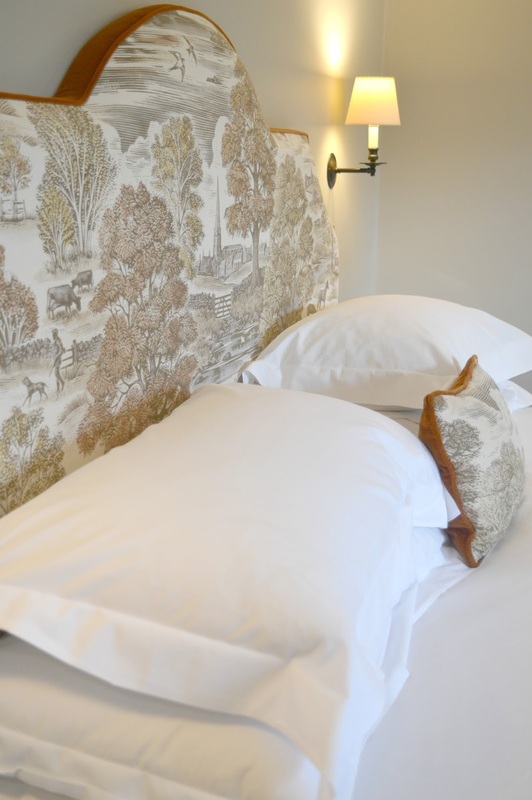 There are plenty of bedrooms to choose from at the Lord Crewe Arms including cosy rooms, miners cottages and top of the range suites. 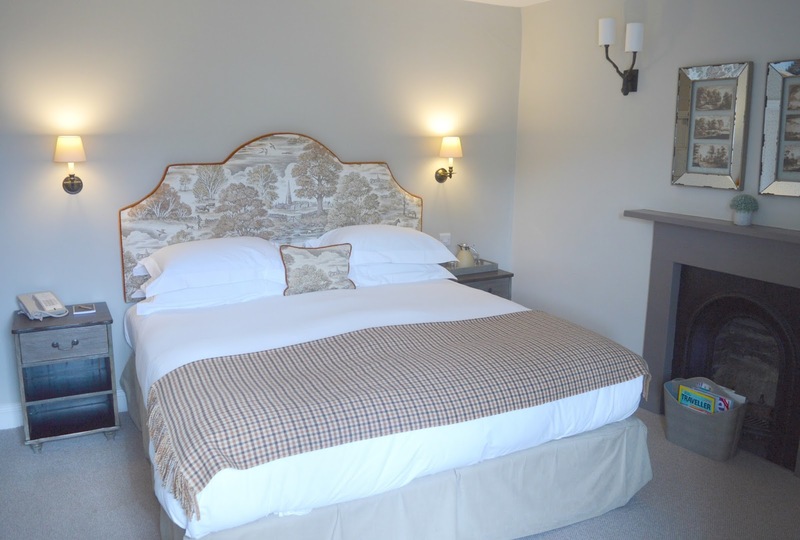 Our home for the night was a beautiful room complete with cosy woollen throws, dark oak furniture and a huge double bed that looked so inviting. If this is country living then I'd quite like to leave my city life right now please! We made ourselves at home immediately, Simon taking advantage of having better wifi than we have at home by snuggling up with his ipad and me making myself a cup of tea and enjoying the views of the picture perfect village from out of our window. Blanchland living looks pretty idyllic, and the village literally looks like something from a painting. I lost myself for ages admiring the beautiful Post Office, watching locals pottering about and tucking into the slab of local fudge that had been left in our room. I could have happily sat there all afternoon if there wasn't a beautiful hotel to explore! The Lord Crewe Arms is rich with history and exploring the hidden corners and beautiful rooms of the hotel soon gives you goosebumps. 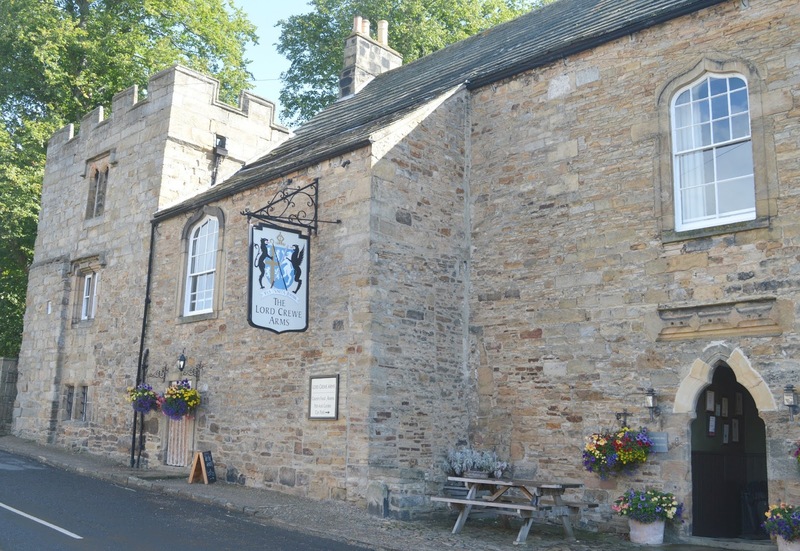 Originally built as the Abbot's Lodge, a sanctuary for Canons in the 11th century and cloisters for the monks of the Northumbrian Moors, the Lord Crewe Arms has provided its warm hospitality for centuries and continues to this day. One of the most romantic buildings I've ever visited, the Lord Crewe Arms is a warren of cosy corners, stone staircases, huge fireplaces and hidden rooms. 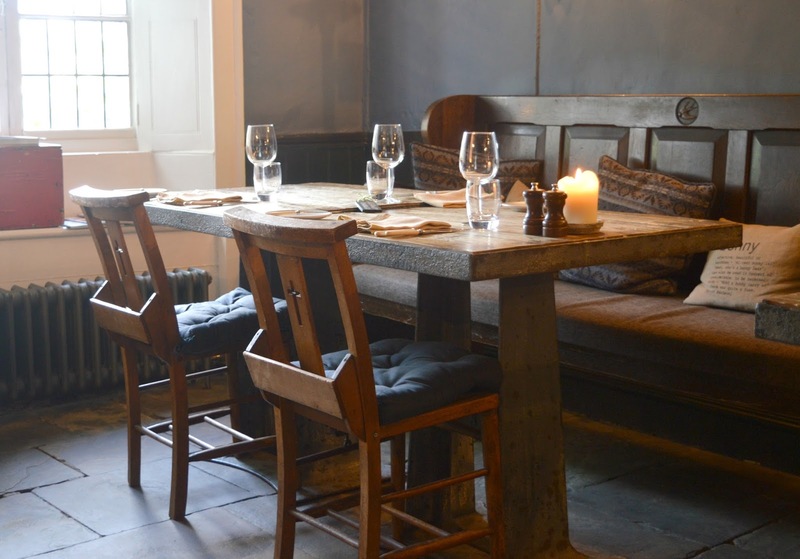 Impossible to take it all in on one visit, something tells me that there's something new to discover every time you are lucky enough to be eating or staying at the Lord Crewe. Of course, all that exploring is thirsty work and it wasn't long before we'd found ourselves in a village pub like no other! The bar at the Lord Crewe Arms is a medieval vaulted chamber where you can order local ales, bar bait and Geordie cocktails to enjoy in the most beautiful candlelit corners. 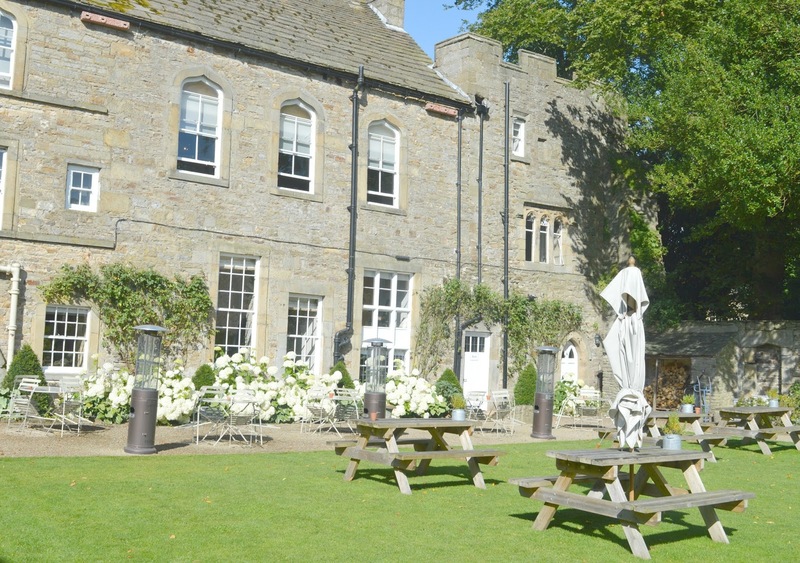 When hunger strikes there are several delicious options at the Lord Crewe Arms, with dinner served with beautiful views in the Bishops Dining Room, afternoon tea in the Derwent or, if you're very lucky like us, your stay could coincide with a special event at the Gatehouse - perfect for passionate foodies! 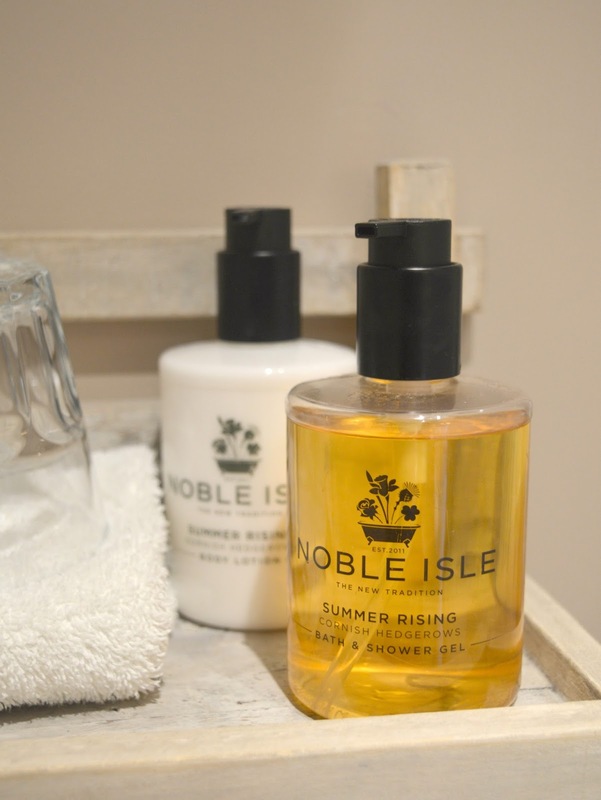 We awoke the next day feeling fully refreshed and I was keen to get my hands on the bathroom goodies in our ensuite. After a much needed hot shower I slathered myself in products and spent longer than was completely necessary strolling about our room in a huge fluffy towel before getting dressed. In all honesty I'd probably still be sat there now if the promise of an indulgent breakfast wasn't tempting me out of the room! So we followed our noses and made our way to the Bishop's Dining Room. I have to say breakfast is my favourite meal of the day (I will never understand why some people skip it!) 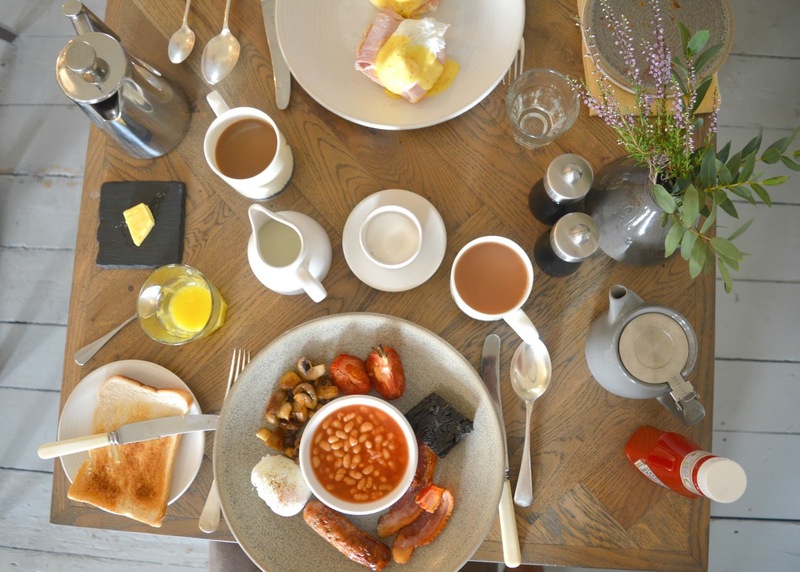 and the morning spread put on at the Lord Crewe Arms is an absolute heaven for any foodie! 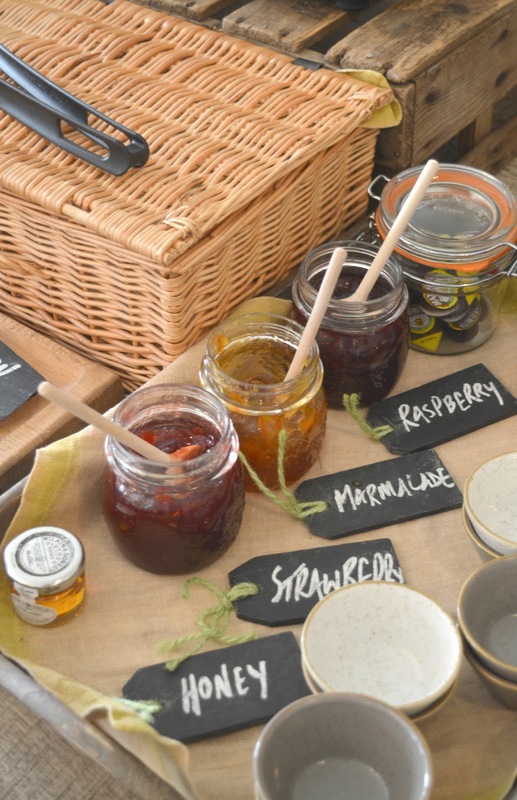 Fresh coffee, warm croissants, huge jars of thick sugary jam, yoghurts, cereals, plates of fruit and bread with slabs of butter greeted us and we were a little worried that our eyes were going to be bigger than our bellies. 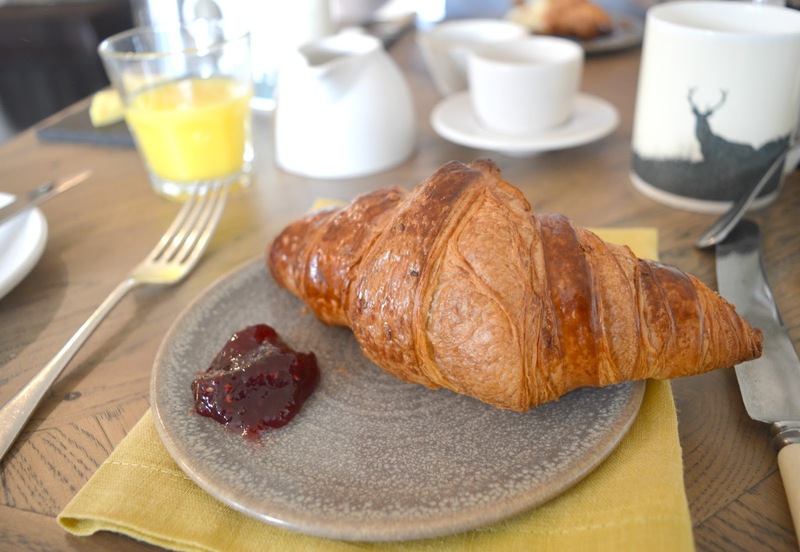 Of course when you're indulging in a breakfast away from home it's more than acceptable to tuck into a croissant or two whilst you're studying the menu. 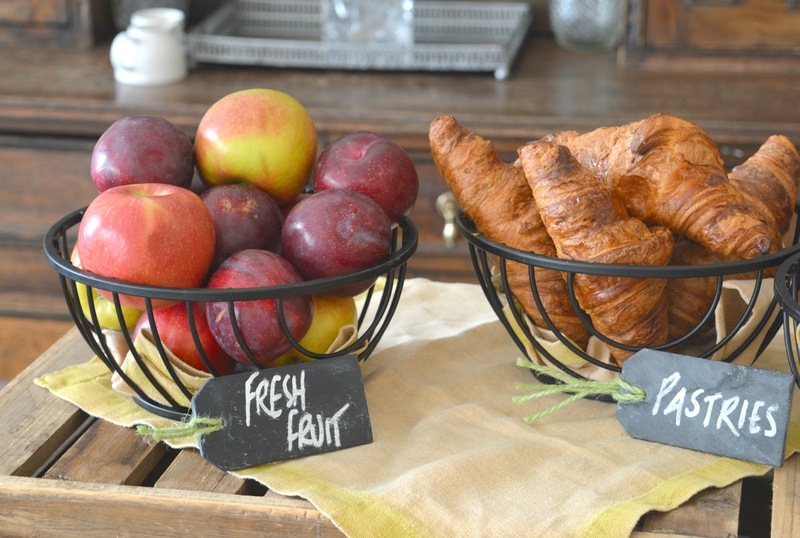 If only breakfast at home was served in multiple courses. 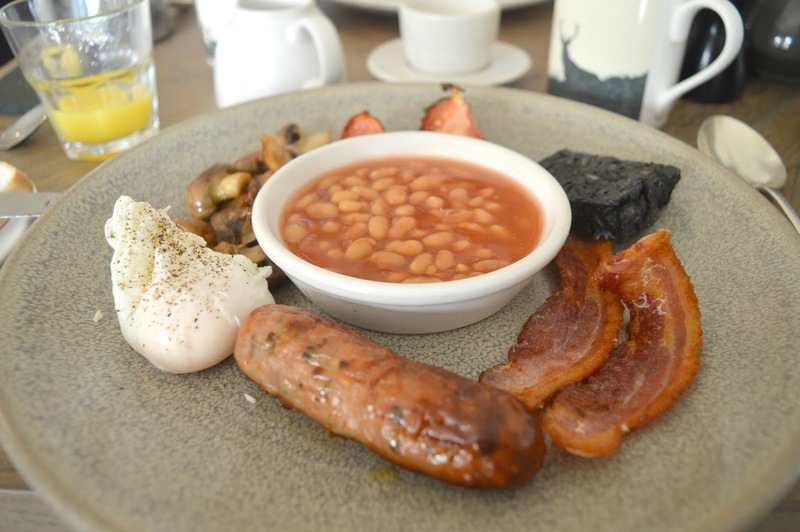 The Crewe Breakfast Menu was made up of five delicious sounding dishes and after a lot of mind changing I opted for A Canny Northumberland Breakfast - a full cooked dish of local sausage, bacon and black pudding served with baked beans, mushrooms and tomato. Simon went for his favourite, Eggs Benedict, I was secretly upset he didn't order the Crewe Eggy Bread with Cinnamon Sugar and Creme Fraiche as I really wanted to get my fork into that one! Don't ask me how we did it but we managed to completely polish off breakfast - it was just too delicious to even consider leaving any even though we were full to the brim. The black pudding was particularly delicious, easily the best I have ever had! We headed back to our room to reluctantly pack up our things and plan a day of adventure in the North Pennines. The Lord Crewe have plenty of ideas of things to do and have a "Borrowing Box" of board games if you fancy an afternoon by the fire, bikes to hire if you're feeling energetic enough to cylcle round the moors, walking maps for exploring and, if breakfast didn't quite fill you up, they can also put together Picnic Hampers and Packed Lunches for you to enjoy whilst you're out and about. I left the Lord Crewe Arms wanting more and refused to get into the car until Simon had promised me a return trip. He agreed and I'm already planning it - I'm thinking an indulgent two night Winter break in one of their suites, we'll play board games by the fire, enjoy an afternoon tea and the following day we'll order ourselves a picnic complete with bubbly to enjoy out on the Moors. Until then I'm spending my time sulking like a child and forever dreaming about our beautifully romantic stay at the Lord Crewe Arms. 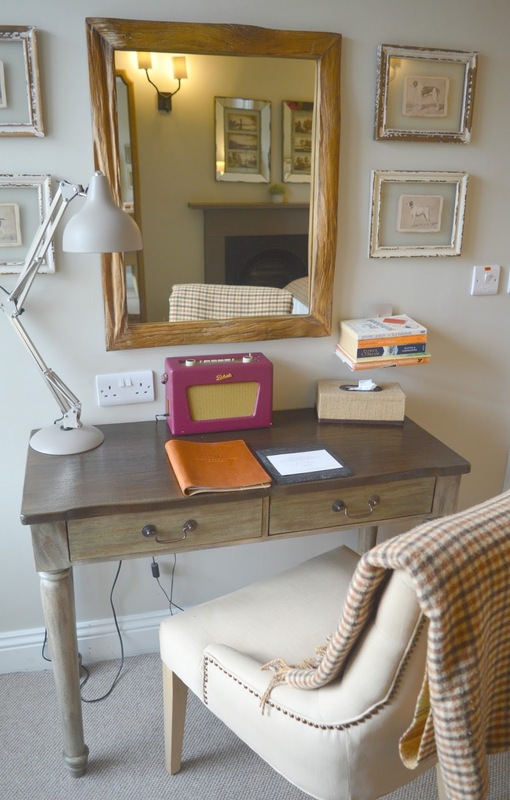 To book your stay at the Lord Crewe Arms check out their website here or you can keep up to date with everything they're up to by liking their Facebook page. 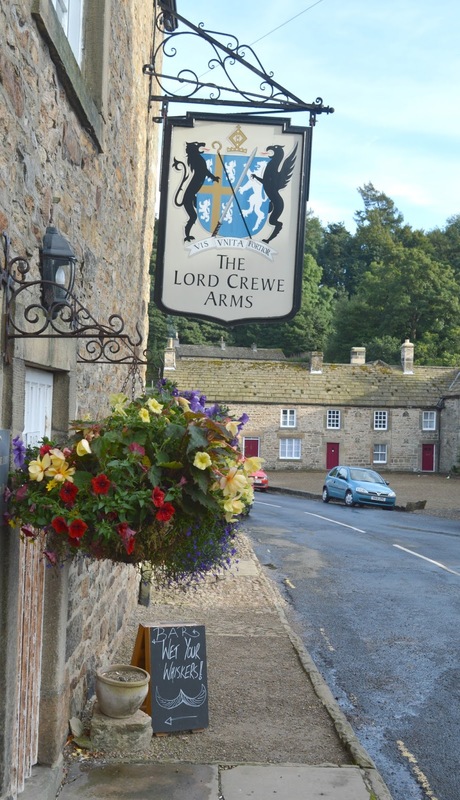 We were guests of the Lord Crewe Arms and were very lucky to be treated to a complimentary stay. All opinions in this review are our own and we honestly can't wait to return! 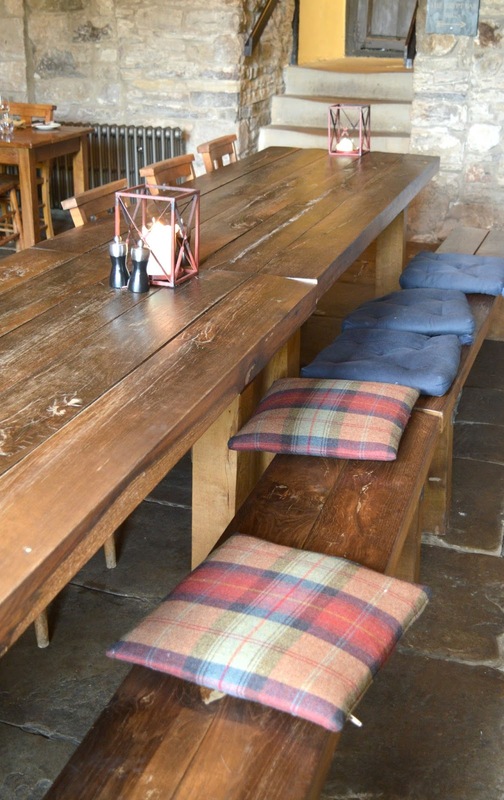 Huge thank you to the lovely people at the Lord Crewe Arms for being such amazing hosts! The North East just has the most beautiful stone buildings! I'm so in love with that headboard too! Your pictures in this post made me feel so relaxed - and craving a staycation! Oh Chloe, this place looks and sounds amazing! A winter break sounds fantastic! Get it booked! 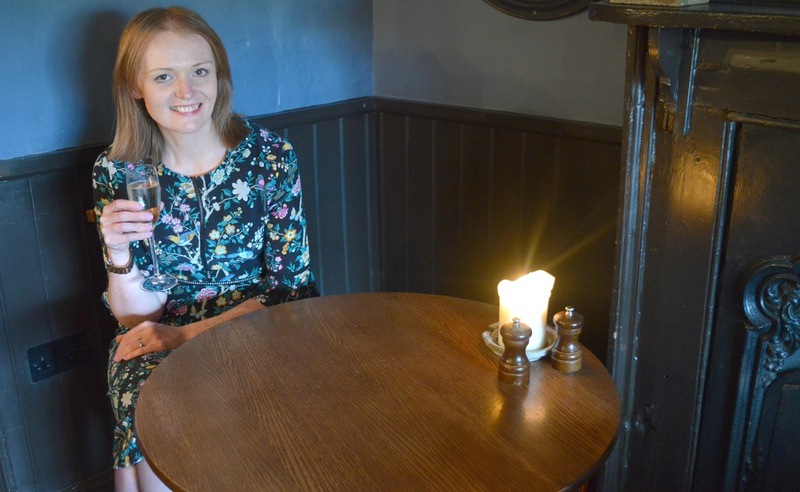 Think of the hygge and instagram posts! Haha!